What is the CLASS Learning Community (CLC)? Interactions are at the core of every moment of the classroom day, which is why CLASS is an incredible tool. But it’s also challenging. Whether you are supporting a struggling teacher, scaling CLASS in an organization, gaining buy-in, cultivating a CLASS environment, or improving your daily interactions with children—your work is tough—but you are not alone in your journey. That's why we are excited about the CLASS Learning Community! We have a Community for you too! Our Facebook CLASS Community is open to anyone with CLASS stories, questions, or celebrations. How do I get access to the CLC? 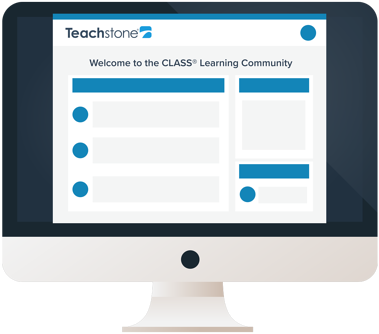 If you are a certified observer or have a MyTeachstone subscription, you already have access to the Community! Log in from your dashboard today! Simply click on the red Community tile. If you don't have access, but would like to request a free trial, you can do so!